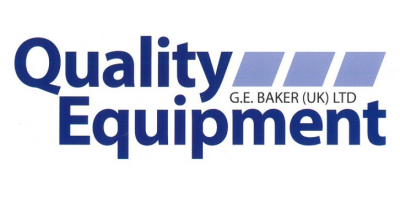 Quality Equipment (QE), has been giving a personal, flexible service. This honest, straight-forward and bespoke approach is still at the very core of our work and service to pig farmers. Quality Equipment, the equipment division of G E Baker UK Ltd, has progressed from providing everyday items of pig equipment – such as drinkers, feeders, gates, posts and farrowing crates – to complete construction projects from the ground up! This includes new buildings, refurbishment and conversion of existing buildings and fully kitting them out. The company has attended the specialist pig and poultry fairs ever since and continues to operate successfully in Europe and beyond. The company then invested in research and development and this resulted in the production of many innovative products, such as the much-acclaimed Transition Feeder which has been widely used around the world and saved the lives of thousands – if not millions – of piglets. The roots of Quality Equipment go back to when its founder, Glyn Baker, left school at 15 years of age to start a five-year apprenticeship in Agricultural Engineering at Rycotewood College, Thame, Oxfordshire. He had already developed an interest in livestock, welding and blacksmithing on his father’s mixed farm in Suffolk. When he returned home he became self-employed, firstly repairing machinery for local arable farmers and then manufacturing and mending items of equipment – such as farrowing crates – for pig producers, as well as carrying out general maintenance. This work soon spread across the whole of East Anglia and led to the formation of the award-winning Quality Equipment company we know today. In 1971 the company attended its first Pig Fair held at Stoke Mandeville in Buckinghamshire. This opened up new markets in both the UK and internationally. During the rapid expansion and intensification of pig farming in the 1970s and 1980s, Quality Equipment expanded its service to include delivery of farming consumables and then larger items of equipment. A staff of 40 was employed and three liveried vehicles were on the road every day. QE continues to be actively involved in designing and developing equipment for modern, efficient pig production. With the national emphasis focusing on energy-saving and the reduction of greenhouse gases QE is now involved in heat recovery and energy conservation in both its new and refurbished buildings. In addition to its thriving equipment division, Quality Equipment has formed a separate construction department, now forming an important part of the company. In 2005, Glyn Baker handed over the reins as managing director to Jamie Baker, though he still remains on the board. Jamie, supported by his fellow directors, Graham Baker and Mark Harding, is driving QE forward and continues to develop the product range and world-wide trading links of what is now a multi-faceted company.